SKU: 2642. Category: Boats,cars and planes. 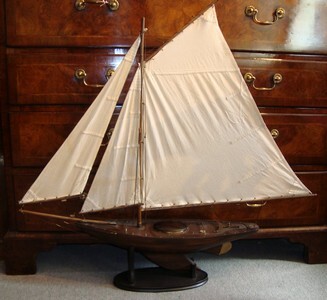 Fine quality reproduction model of a Bermuda Sloop with cotton sails and detailed stitching. Many other model boats and yachts available. Beautifully made detailed model of a Royal Aircraft Factory SE 5a.